Distribution Resources Planning (DRP) establishes a comprehensive and transparent framework designed to improve distribution system planning, operations, and investment. It seeks to optimize utilization of existing electricity grid assets and new DER resources to modernize the grid while minimizing costs for ratepayers. 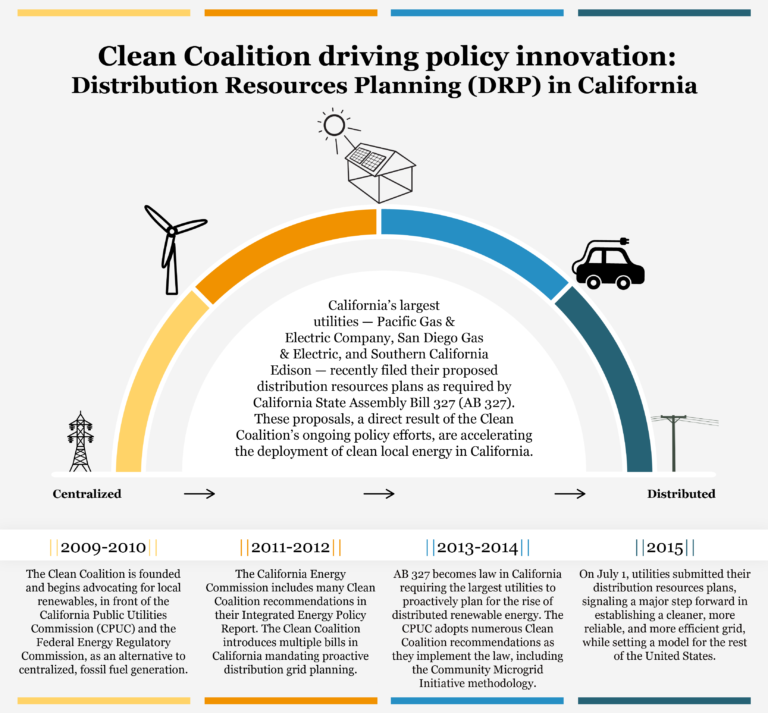 Building on its work driving California’s nation-leading DRP process, the Clean Coalition is now supporting the adoption of this vital policy in other states across the country. We support on-the-ground partners with policy expertise, model legislation, and coalition-building support. What is Distribution Resources Planning? Hosting capacity analysis: An assessment of the existing distribution grid to understand which locations have the capacity to accommodate new distributed energy resources (DER), which makes interconnecting DER quicker and cheaper. Methodology to value DER: A method determined through a stakeholder process to assess the full value of DER to the utility and to the grid, which will likely vary depending on the location of a resource. Substation-level demonstration projects: Pilot projects, proposed by utilities and approved by regulators, that deploy DER to achieve immediate ratepayer savings when compared to conventional investments in centralized generation and grid upgrades. DER forecasts: Based on various scenarios, proposed by utilities and approved by regulators, including details on expected siting at the distribution substation level and the potential impacts on distribution and transmission planning. 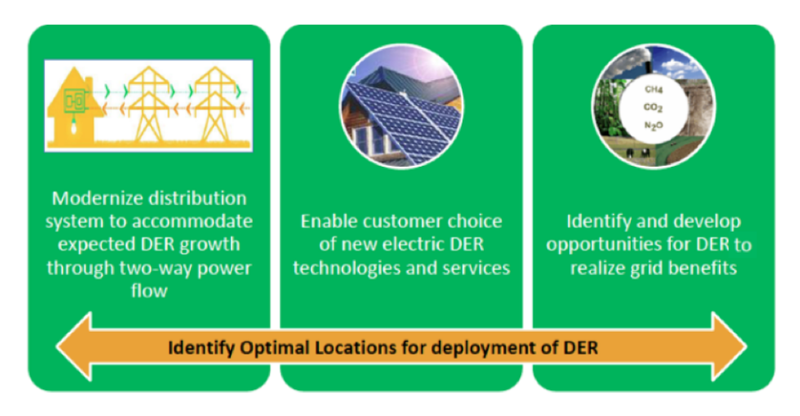 By proactively identifying optimal locations for use of DER, DRP guides smart grid modernization investments, expands customer choice, and secures value for all energy consumers. Improve the safety, security, reliability, and resilience of the electricity grid, at fair and reasonable costs. Optimize use of existing electricity grid assets and new DER resources to modernize the grid while minimizing total system costs for ratepayers. Increase transparency of utility investments. Ensure that utility investments create a flexible, resilient grid and will meet customers’ future needs. Evaluate cost-effective DER alternatives to proposed investments in traditional infrastructure. 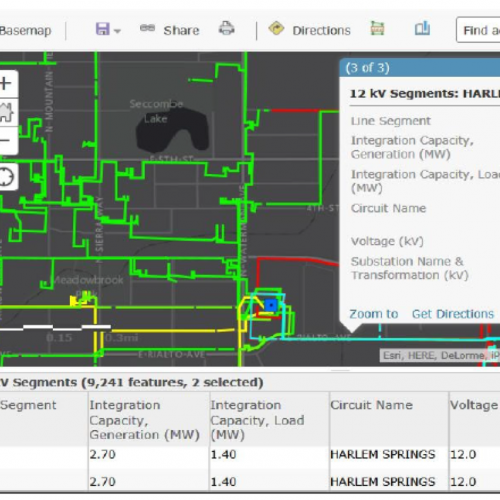 Enhance the inputs utilized in utility Integrated Resources Plans. Guide cost-effective achievement of state renewable energy goals. The Clean Coalition first drafted DRP legislative language in California in 2011. Once this language was adopted in Assembly Bill 327 in 2013, the Clean Coalition guided the California Public Utilities Commission implementation of DRP and remains a regular intervenor in the DRP proceeding. To move to a modern energy system, both the utilities’ natural monopolies and the management of the grid must change. Utilities must develop a renewed, more sophisticated, and focused model as a distribution-grid business. 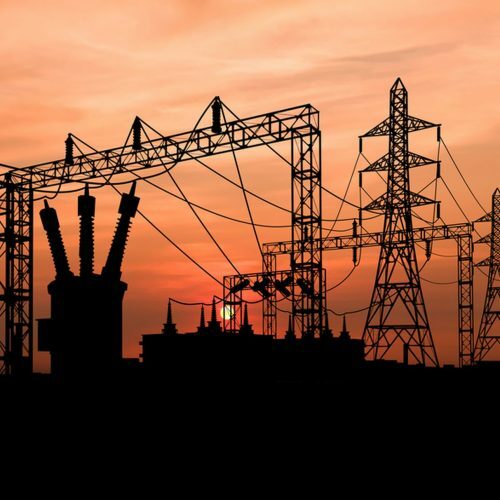 Achieving that vision will require that utilities divest from transmission assets and embrace the full range of distribution-level services, becoming Distribution System Operators (DSOs). This will force utilities to become fierce innovators focused on achieving maximum value from DER and the distribution grid. The Clean Coalition has been advocating for this change in a number of venues; see links at left for details. California: May 7, 2018. Comments to the CPUC protesting proposals to redact data that would support DER opportunities to provide cost effective grid services and the deferral of conventional grid investments. Colorado: February 21, 2018. Reply comments on Distribution Resources Planning in Colorado, with clarification on Hosting Capacity Analysis. 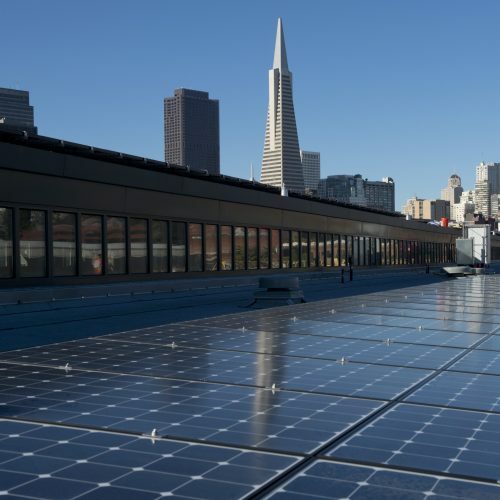 I like what the Clean Coalition is doing to work toward removing barriers by implementing the right policies to accelerate the renewable energy marketplace.